A bill that would allow people with a partial disability to collect workers’ compensation indefinitely could raise workers’ comp insurance rates from 5 to 30 percent, an insurance industry trade group told the New Hampshire House Labor Committee Wednesday. But workers’ comp attorneys said the change would only affect a small number of people – injured workers who could work part-time, and are currently entitled to the difference between their current wages and 60 percent of what they would have made it they were healthy enough to return to their former job. Even though the change would affect a small percentage of the workforce – some say under 1 percent – the cost could be huge, according to the National Council on Compensation Insurance. NCCI estimated that the amount paid to those affected would go up anywhere from 200 to 600 percent, depending on the percentage who would return to work. That would add 5 to 30 percent to insurance costs and the premiums employers would have to pay for compensation insurance. The reason the range is so large, said Christian Citarella, an actuary at the New Hampshire Insurance Department, is that there is so little data. New Hampshire is currently on the low end of states that have caps, and the handful that don’t have caps all have different systems. (New Hampshire, for instance, pays out 60 percent indemnity when most other states pay two-thirds). For that reason, “you are in uncharted waters,” he said. Deb Stone, an independent actuary who specializes in workers’ comp questioned the high-cost scenario that assumes no one would be able to work full-time. “That doesn’t seem like the real world,” she said, but she also noted that NCCI also didn’t give a good reason for the assumption behind the 5 percent scenario. 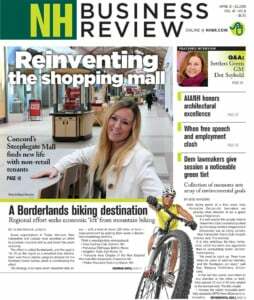 Karen Shea, a case manager for the New Hampshire Motor Transport Association, which has a third-party workers’ comp trust, thinks the estimates might be too low, since they just focus on a small population that would be directly affected, “not the 80 percent who are successful and getting better. Some of them, she said, might not go to work when there is an option to collect benefits for life. “When you hit people in the pocket, it’s an incentive to go to work,” Shea said. She gave the example of some people who don’t go to work because they are in pain. But Leslie Nixon, another workers’ comp attorney, said that the change would only affect the most seriously disabled people who were injured on the job. “Employers don’t hire people like that, and it is they that are bearing the burden,” more than their employer or the insurer, she said.